In autumn 2019 Sweden’s new SCAPIS medical knowledge bank will be ready for studies of cardiopulmonary diseases, and researchers in the field are being encouraged to already contact the bank for an initial discussion of future possibilities. SCAPIS is a new medical knowledge bank that is being built in order to contribute to greater knowledge of pulmonary and cardiovascular diseases. Since 2015 some 30,000 randomly selected Swedes aged 50–64 years are undergoing technically advanced health examinations, and the compilation of the material generated in this way will begin in the autumn. 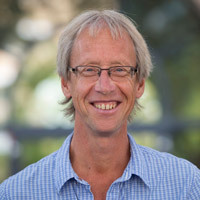 SCAPIS is being conducted in parallel at six universities, including Uppsala, where Johan Sundström, Professor of Epidemiology, and Lars Lind, Professor of Cardiovascular Epidemiology, are leading the work. “In November we expect to complete the 5,000 health examinations we are carrying out at Uppsala University Hospital. 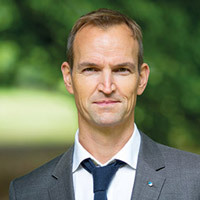 The project is progressing well and, it is worth noting that almost 50 per cent of the people invited have chosen to participate, confirming a widespread will to contribute to science,” notes Sundström. Each individual examination includes the heart, vascular system and lungs as well as a CAT scan of coronary arteries, a technology that facilitates early discovery of arteriosclerosis in the heart. Participants are informed of their test results and are offered access to advice or treatment when required. “At individual level we have diagnosed lung cancer, brain tumours, type 2 diabetes and several other conditions that led to rapid health care interventions. At regional level we see geographical differences in, for instance, weight problems and smoking habits in the Municipality of Uppsala, and this can influence strategies for preventive interventions; but the main point of building SCAPIS is to contribute to research that can, in the long term, improve the ability of health care to identify individual risk factors and enable earlier discovery,” says Lind. SCAPIS is expected to be ready for scientific studies in autumn 2019 and the material is expected to be in great demand. Researchers are already being encouraged to contact their SCAPIS office for an initial discussion about future possibilities. “We know that many researchers have exciting ideas, and the possibility of combining test results from 30 000 people with Sweden’s unique patient registers will make SCAPIS an extremely important asset in the search for answers as to why diseases like stroke, COPD, sudden cardiac arrest and heart attacks arise, why only certain people are affected and how we can improve individual health through better diagnosis, care and treatment,” says Sundström. SCAPIS is being financed by the Swedish Heart-Lung Foundation, the Knut and Alice Wallenberg Foundation, Vinnova, the Swedish Research Council and the six universities and university hospitals that are jointly leading and running SCAPIS.